James Beard award winner Marc Vetri teaches you how to make pasta like the pros. Vetri’s restaurants, Amis, Osteria, and the aptly named Vetri, have garnered major pasta-making respect. New York Magazine’s Grub Street food and restaurant blog listed not just one, but all three, in the rankings of the Top 100 Pastas in the Country. 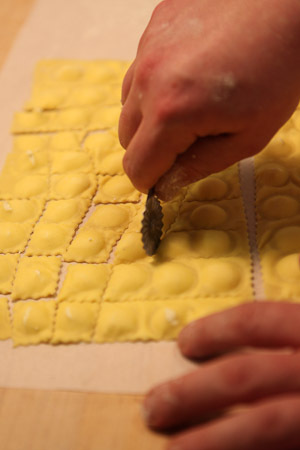 Osteria holds pasta-making classes open to anyone in the public. Our cameras were lucky enough to to be there as this pasta master showed his craft. Feel free to contact Mary Macgrady, special events coordinator for the Vetri Family at 215-763-0920 or email her at marymac@osteriaphilly.com if you are interested in participating.